I have to admit that I shamelessly stole this idea from a sweet homeschooling friend of mine. 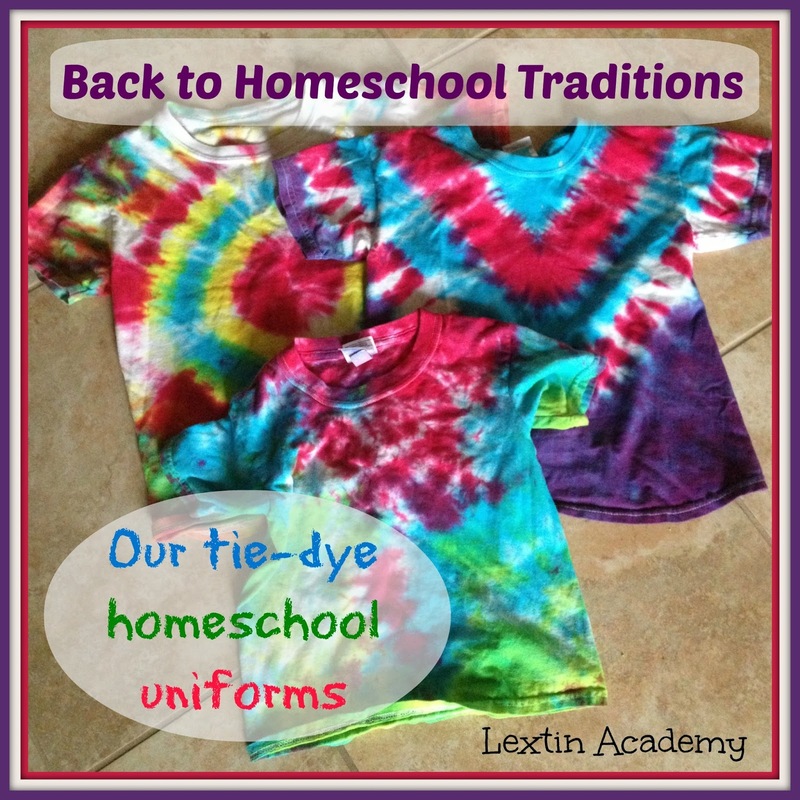 Each year she made new tie-dye t-shirts with her kids for their first day of school. Then they had cute, self-made uniforms for their school year – or to wear on field trips. I’ve adopted her tradition and we now make our own shirts each year. We always enlist the help of Dad because these are so messy!! !